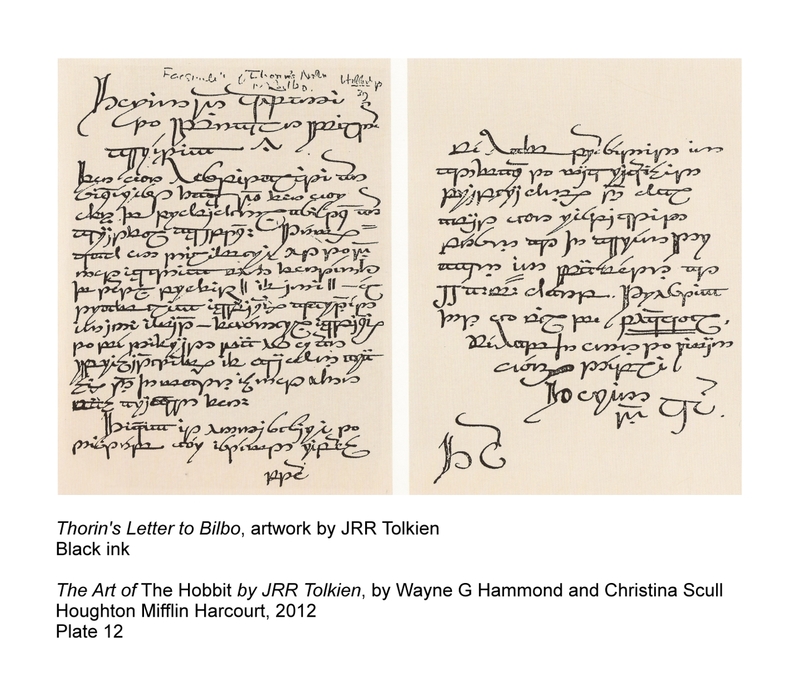 Thorin's Letter to Bilbo, by JRR Tolkien. 'If you had dusted the mantelpiece you would have found this just under the clock,' said Gandalf, handing Bilbo a note (written, of course, on his own note-paper). 'Thorin and Company to Burglar Bilbo greeting! For your hospitality our sincerest thanks, and for your offer of professional assistance our grateful acceptance. Terms: cash on delivery, up to and not exceeding one fourteenth of total profits (if any); all traveling expenses guaranteed in any event; funeral expenses to be defrayed by us or our representatives, if occasion arises and the matter is not otherwise arranged for. 'Thinking it unnecessary to disturb your esteemed repose, we have proceeded in advance to make requisite preparations, and shall await your respected person at the Green Dragon Inn, Bywater, at 11 a.m. sharp. Trusting that you will be punctual.